Zepp, a manufacturer of sports tracking wearables, secured $15 million of Series B financing from GGV Capital, Legend Capital, Bertelsmann and Cherubic Ventures. The company previously booked $5 million of Series A financing from Legend Capital. The company’s flagship product is a 6.3g square wearable sensor powered by 3D motion technologies. According to data released by the company, the sensor contains a powerful ARM processor and multiple sensors, with a battery life of eight hours and enough memory to store information for 200,000 swings at 1,000 data points per second. 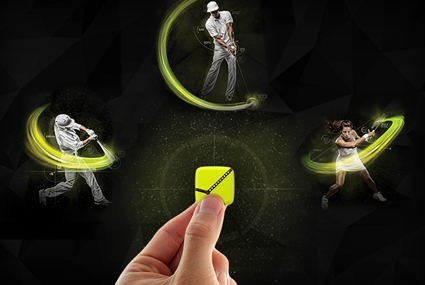 The sensor can be attached to a golfer’s glove, end of a baseball bat or a tennis racket, enabling athletes and coaches to collect meaningful information so as to improve performances. The data thus collected can be transferred to either Android or iOS-enabled smartphones or tablet immediately via Bluetooth. The product is currently on sale for $149.99, but only in packages composed of a sensor, rackets, gloves, and a charger. Although Zepp primarily makes revenue from hardware at present, it planned to commercialize by offering interactive sports courses and star player data this year, according to Han Zheng, founder of the company. Headquartered in both China and the U.S., Zepp claimed to have shipped nearly 100,000 sets of its products as of October last year, mainly to overseas markets.